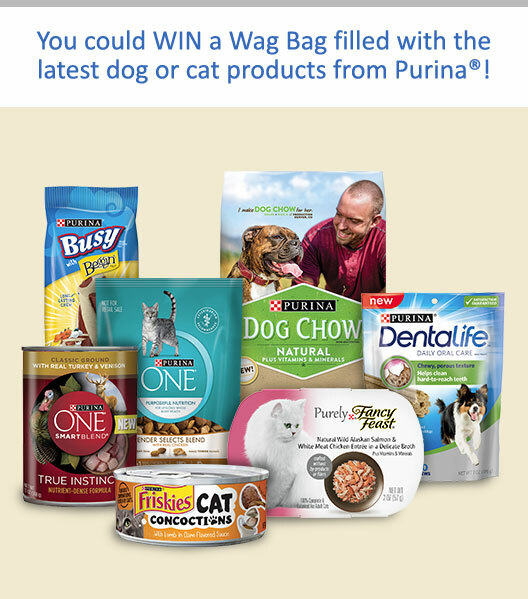 PRIZES: There will be 1,980 Cat Prize packages and 1,980 Dog Prize packages available during the Game Period. Approximate Retail Value (“ARV”) of all prizes: $73,042.20. one (1) 3.5oz package of Purina® Busy® with Beggin’® Twist’d!